The diesel emissions scandal which developed into a global shaming of car manufacturers and the demonising of diesel technology in general, has been successful in highlighting the need to address poor air quality, and the harmful effects of NOx emissions, in particular, to public health. The government stated in its 2017 Air Quality Plan that the UK will end the sale of new conventional petrol and diesel vehicles by 2040. By July 2018, it confirmed its ambition to see at least half of new cars to be ultra-low emission by 2030. The proposals are outlined in the Road to Zero Strategy, which sets out plans to enable a massive expansion of green infrastructure across the country, reduce emissions from the vehicles already on the UK’s roads, and drive the uptake of zero emission cars, vans and trucks. OE and aftermarket technology, stricter legislation and taxation will all be used to reduce pollutants while the planned shift from combustion engines to hybrid & Electric Vehicles takes place. 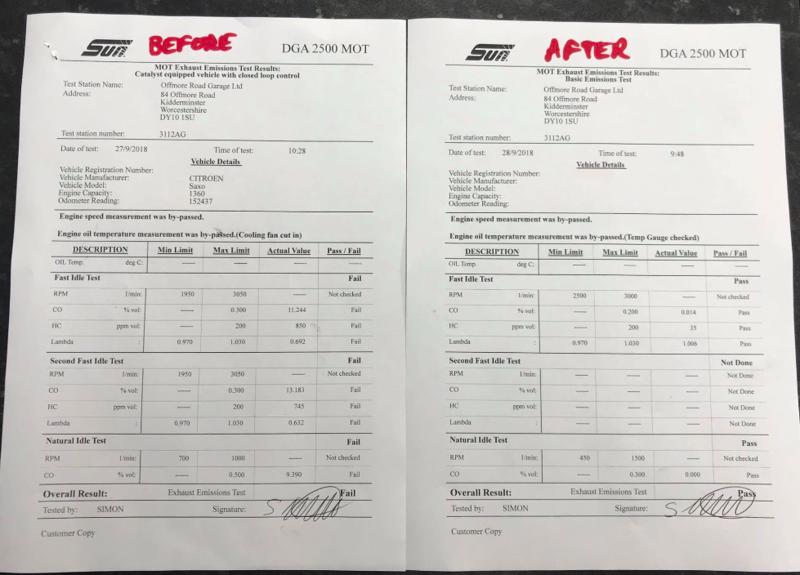 Attention was turned to investigating Diesel Particulate Filters, or DPFs, in last May’s shake up of the MOT test. They’ve been used since 2009 to reduce the soot and harmful particles blown out the back of diesels and have been a subject of confusion, costly repairs and unrequired replacements in aftermarket and main dealer workshops ever since. 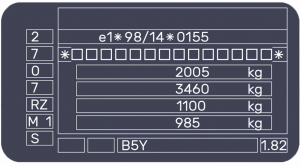 As you know, DPFs will get blocked up and be unable to regenerate automatically when the engine does not get up to a certain temperature and when a vehicle only makes short journeys. Using the wrong engine oil and contamination also cause big problems. So, it’s no wonder that the less scrupulous members of the trade removed DPFs to save hassles. 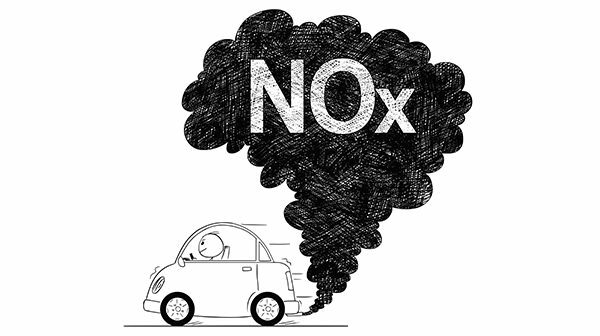 The MOT amendments last May set to address this with DPF checks and stricter emission limits for diesel vehicles were introduced. • You must test vehicles to the manufacturer’s plate value* (when present), or a new lower default limit for newer vehicles. • You must give a major fault if you can see smoke of any colour coming from the exhaust or find evidence that the DPF has been tampered with. 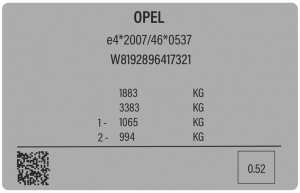 The plate value is the emission limit specified by the vehicle manufacturer, found on the VMs plate. It will be a number (usually in a box) often at the bottom-right corner of the plate. 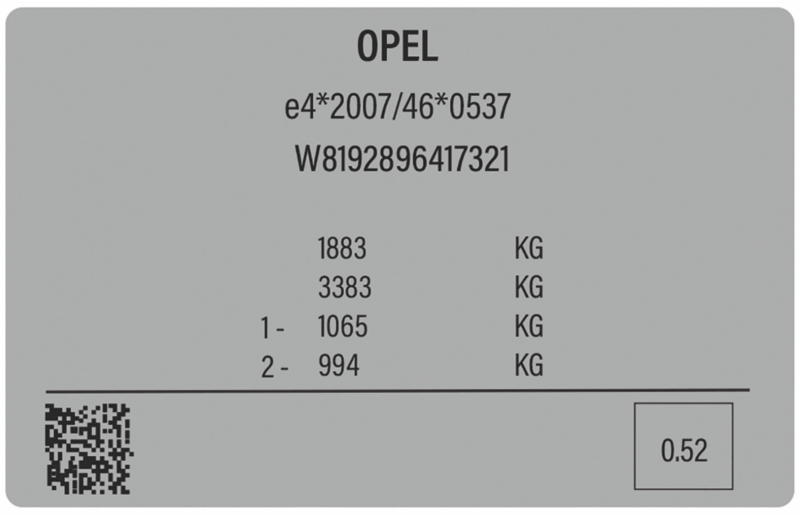 In Figure 1, – the plate value is 0.52m-1. 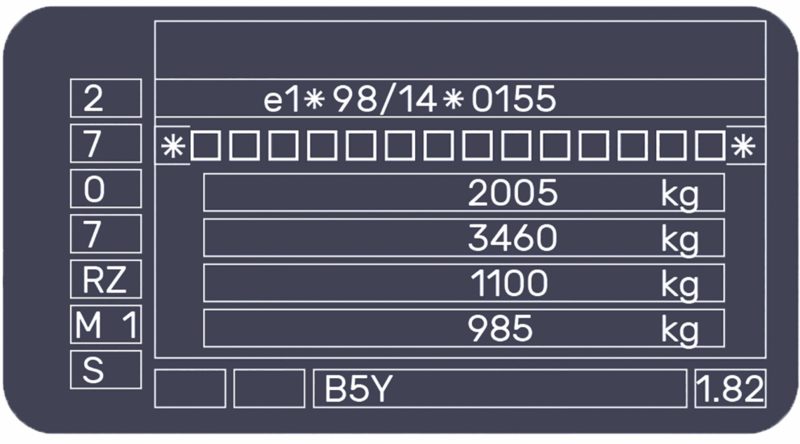 In Figure 2, the plate value is 1.82m-1. DPFs need to be carefully checked for evidence of removal or tampering (removing a DPF is illegal). 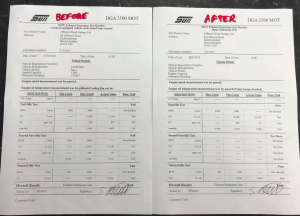 Removal of the DPF results in an immediate fail and owners who have deliberately removed them face a bill of £1,000 or more and may have to scrap the car. At the close of 2018, the DVSA released statistics of how the stricter emission limits had affected MOT outcomes. Having collated data between the implementation in May 2018 and December, it found that the number of cars failing MOT emissions tests had more than doubled to nearly 750,000 cars, compared with 350,000 during the same period in 2017. The new test has hit diesel models significantly, with a 548% increase seen in the number of diesel vans failing the emission tests, rising from 3,585 in 2017 to 19,648 in 2018. This is good news for air quality and public health but an inconvenience to drivers who need their vehicle back on the road asap. Workshops obviously need to look into the underlying reasons behind each failure and check all sensors and components involved (whether directly or indirectly) in the combustion process are functioning as they should. For diesel models, (existence of ) the DPF, its condition and regeneration process are a vital area of investigation if smoke levels are off. If levels are found to be on the high side, workshops are encouraged by many aftermarket firms to use their additives or equipment to de-coke engines. This can work particularly well on higher mileage or older vehicles but making regular short journeys and the use of poor-quality fuel can mean that even newer cars could benefit from a carbon clean. 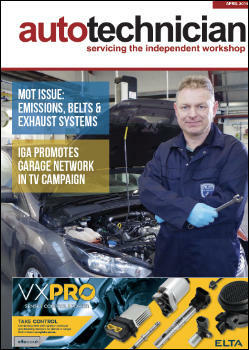 We spoke to Workshop Manager James at our local independent garage who said they’d only experienced around a 10% increase in MOT failures since the goalposts were moved. They advise their customers to use Cataclean before the MOT test to give the engine a clean and to also give the vehicle a good run beforehand, in order to give a truer emissions reading. Look out for our Oils & Lubes in the March issue, where we’ll be looking at upselling opportunities with servicing in more detail.